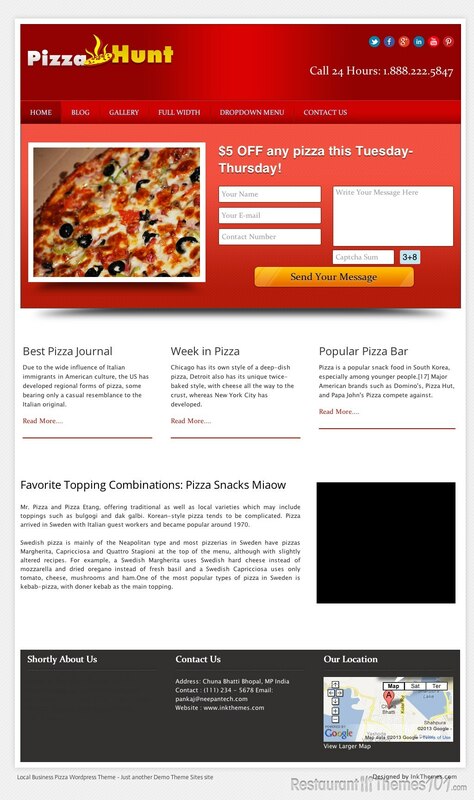 LocalBusiness from InkThemes, unlike most of the themes we review on this site, is not specifically a restaurant theme. 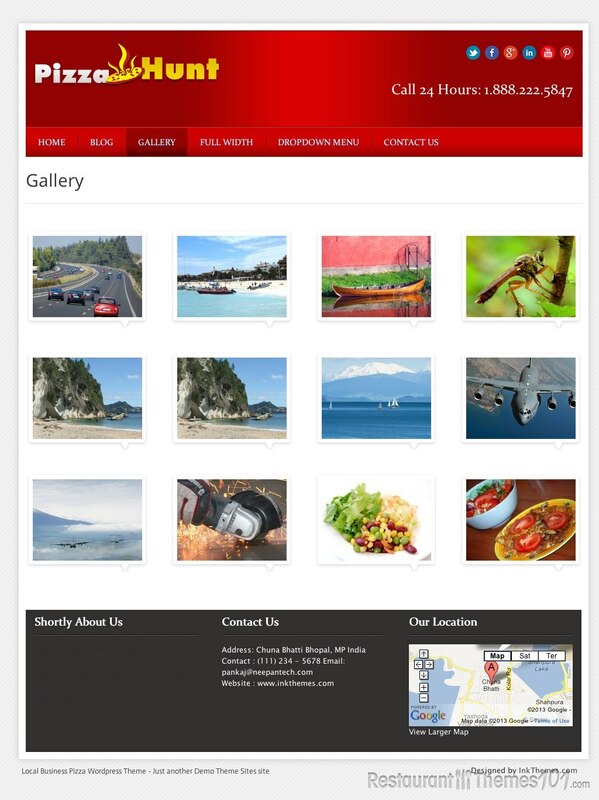 As the name suggests, this theme is designed for local, small businesses. It’s simple design allows for some wiggle room as far as what is displayed on the site. While it would work great for a restaurant, cafe, coffeehouse, etc. it would work just as well for a plumbing company, electrician, mechanic, or any other number of local businesses. LocalBusiness is also a great lead-generating site. 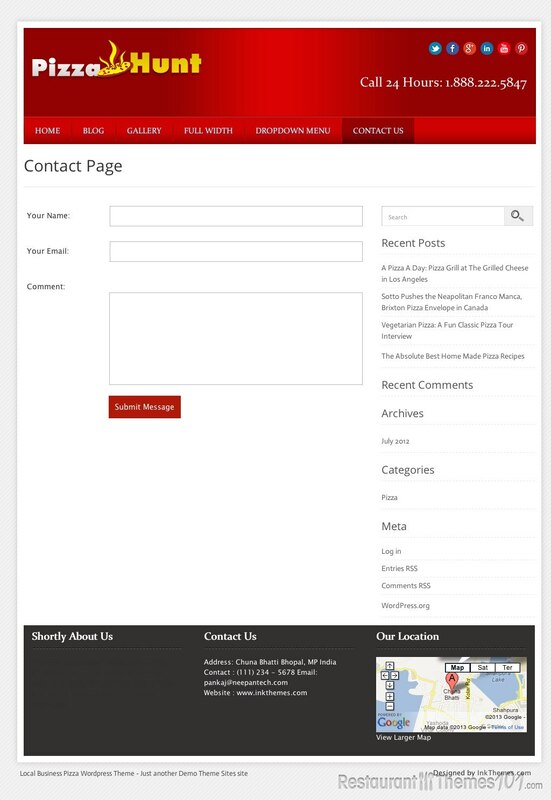 As you can see from the demo, there is a contact form front-and-center, which allows readers to contact you and/or sign up for an email newsletter. The developers call it the Inbuilt Lead Capture System, and although it’s simple, it can be very effective at collecting leads/email addresses. The system stores the leads directly in your WordPress dashboard. This aspect of the theme will be more useful for service-related businesses than it would be for restaurants. 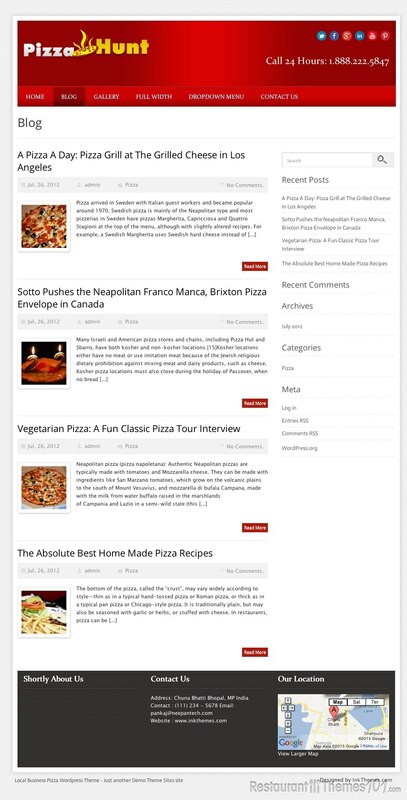 The theme also comes standard with many customizable features. Multiple color options make changing the look and feel of your site a breeze. Built in Facebook fan capabilities, plus other social media/networking sites, make linking the site to your social networking pages simple and straightforward. The theme also comes with 20 free professional logos, to help customize your site. Also included are 50+ free images that you can use on your website without worrying about copyrights. You can also embed videos on your site quickly and easily using this theme. 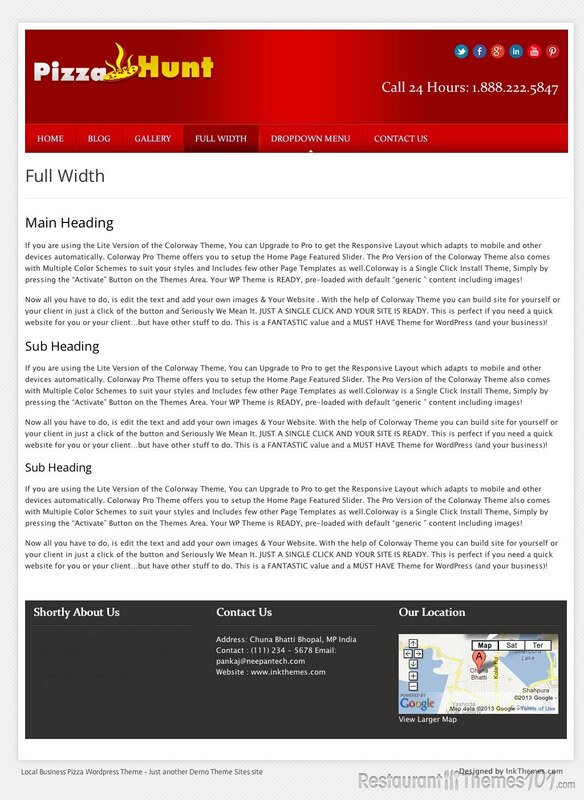 Perhaps most important, LocalBusiness is a responsive theme. This means that the theme will automatically adjust its settings, based on the way the reader accesses the site. The website will look great whether a reader accesses it from a browser or a mobile device. Also, the footer area (bottom of the front page) is fully editable, and even supports Widgets, which gives this theme a clear advantage over a lot of its competition.